Samadi Shahreza, Z., Dini, G., Taherizadeh, A. (2013). Improving the Microstructure, Mechanical and Magnetic Properties of AISI 4340 Steel Using the Heat Treatment Process. International Journal of Iron & Steel Society of Iran, 10(2), 18-22. Z. Samadi Shahreza; G. Dini; A. Taherizadeh. "Improving the Microstructure, Mechanical and Magnetic Properties of AISI 4340 Steel Using the Heat Treatment Process". 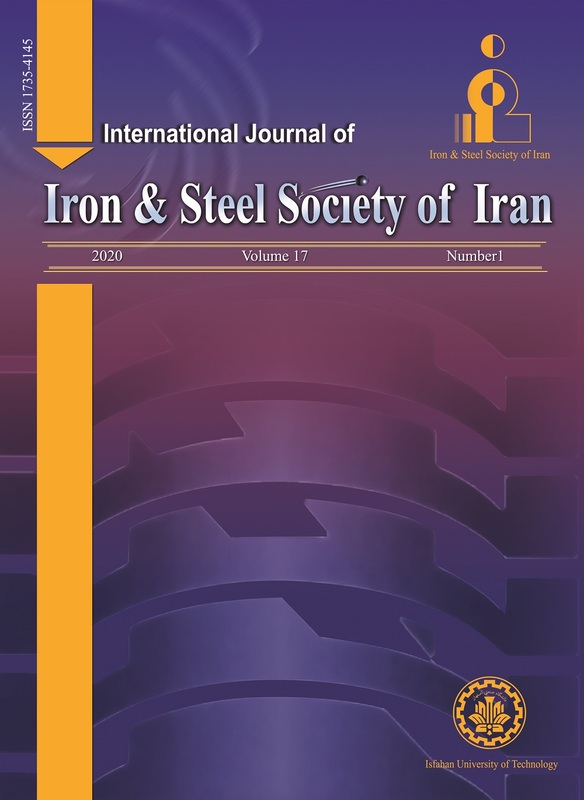 International Journal of Iron & Steel Society of Iran, 10, 2, 2013, 18-22. Samadi Shahreza, Z., Dini, G., Taherizadeh, A. (2013). 'Improving the Microstructure, Mechanical and Magnetic Properties of AISI 4340 Steel Using the Heat Treatment Process', International Journal of Iron & Steel Society of Iran, 10(2), pp. 18-22. Samadi Shahreza, Z., Dini, G., Taherizadeh, A. Improving the Microstructure, Mechanical and Magnetic Properties of AISI 4340 Steel Using the Heat Treatment Process. International Journal of Iron & Steel Society of Iran, 2013; 10(2): 18-22. AISI 4340 steel is one of the super strong steels that can be selected for different applications. By designing the proper cycles of heat treatment, the optimum microstructure and properties of this steel can be achieved. In this study, different heat treatment cycles were introduced to achieve the optimum microstructure and improve the mechanical and magnetic properties of AISI 4340 steel. The results of tensile, impact, hardness, metallography and magnetic tests for various samples under different heat treatment cycles showed that parameters such as temperature and time of austenitizing and tempering were among the most important factors in achieving relatively a wide range of ultimate tensile strength (1467-933 MPa), impact energy (113-18 J), transport current density (1554-1347 mT), coercivity (1342-1240 A/M), diminished force (1165.6-947.5 mJ/kg) and microstructure (tempered martensite and bainite). This wide range of properties can lead to a large number of applications of this type of steel in various industries including manufacturing steel parts such as rotors.